We spent Labor Day weekend laboring in the kitchen. Trusty hubby finally had enough of the light-brown-striped wallpaper, and decided it was time to paint. I had chosen a nice sunny yellow, and told the family I was planning on doing cobalt blue accents. The kids then found a TARDIS cookie jar–cobalt blue, of course! 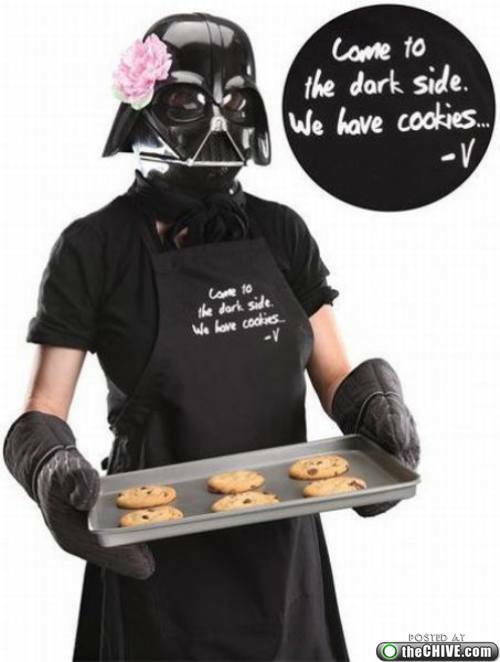 This started a discussion on whether or not the kitchen should have a sci-fi theme, because, after all, we ARE a geeky family, and this could actually be a serious consideration. While I did eventually decide that we’ll have a sort of French-country-kitchen theme with some cobalt blue fleur-de-lys stenciled onto the soffits, having a few sci-fi accessories are Good Things. 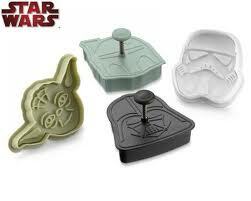 Star Wars cookie cutters. 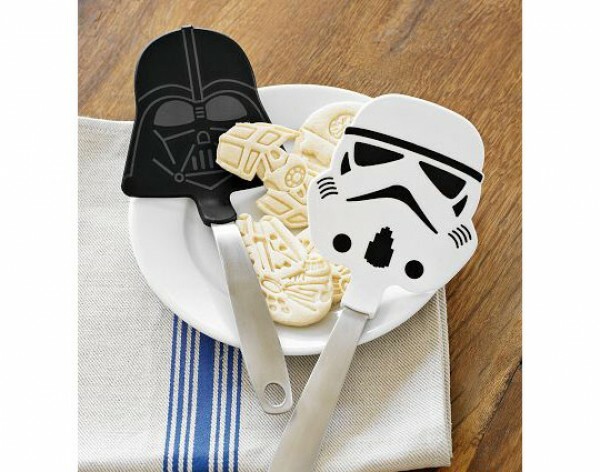 Williams-Sonoma has a variety of cookie cutters and pancake molds in the Star Wars theme, perfect for those of us who need something out of the ordinary for Christmas. They also offer spatulas that can be used to remove those cookies from the baking sheets. 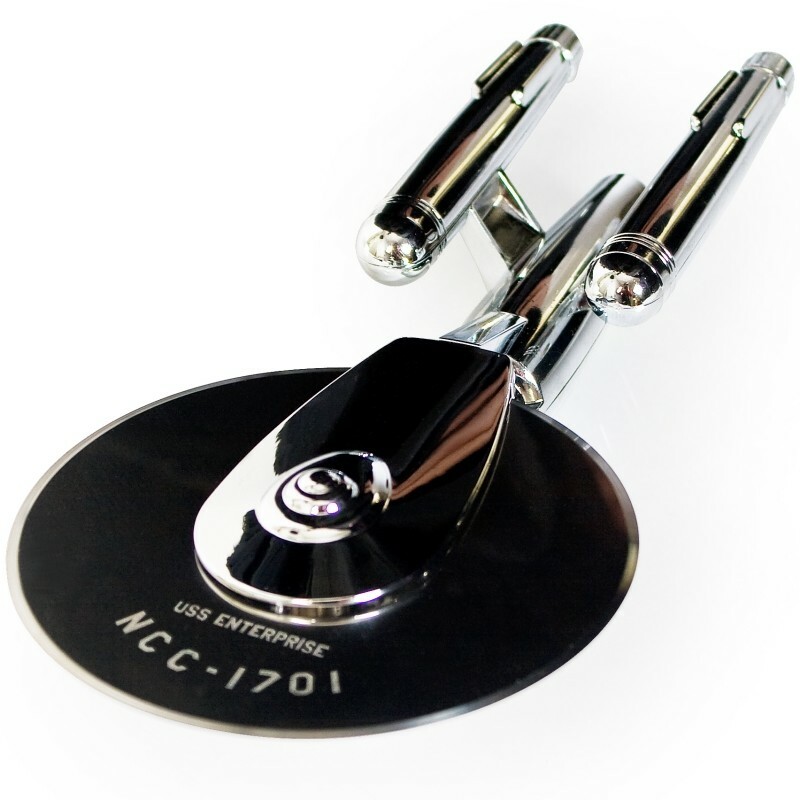 One of my son’s favorite gadgets, which he originally found at the Smithsonian Air and Space Museum gift store, is the Enterprise Pizza Cutter. Since we make a universe of pizzas, this cutter could help us explore new worlds, and new toppings, and boldly go where no cheese has gone before. Just in case you need some drinks to go along with your pizza, Star Trek also offers you bottle opens that suit many needs, from Romulan Ale to prune juice. Everyone agrees that the coolest geeky kitchen item is the Tardis cookie jar. 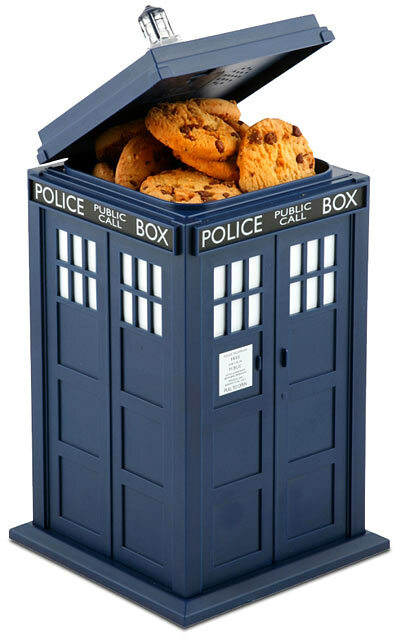 This is chiefly because if it really is bigger on the inside, it will naturally hold more cookies. Plus, it would just look cool on the kitchen counter. 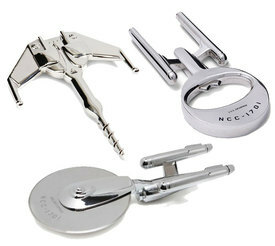 Share your favorite sci-fi kitchen gadgets and anything you’ve made with them! I’d love to see what other folks use! Feel free to follow me @JaeOnasi or on Facebook.